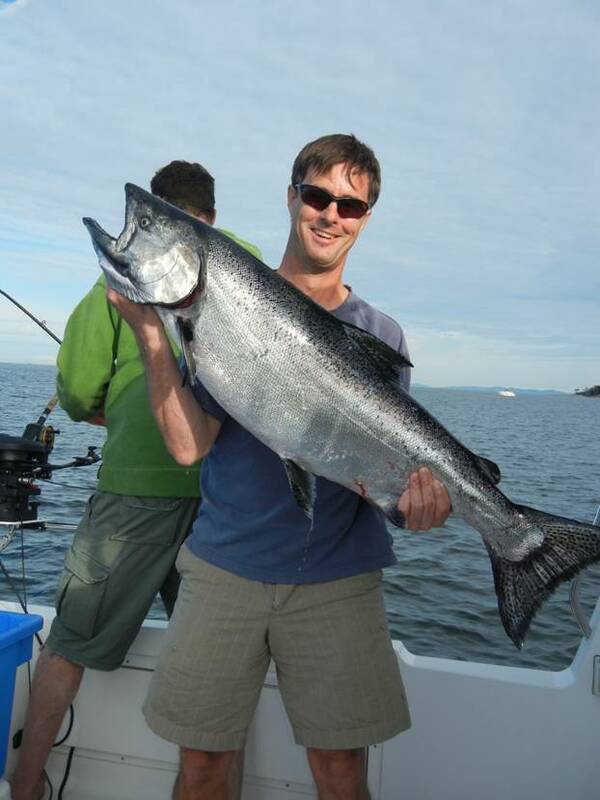 Well the fishing has remained good over on the Eastern side of the Island with some great catches the last week off Gabriola and further north in the Nanaimo area. Not all days are spectacular but the fishing is by far the most consistent as the local scene in the harbour and Fraser mouth has been slow. There are some indications that this is changing as some coho have started to show up off the Capilano mouth and some Chinook starting to be hooked in the outer reaches of the harbour. We landed 2 Coho Today and are starting to see some Pinks As well. We have hooked 10 fish in two trips and have been very lucky to get 7 of them to the boat. A few very healthy Coho have been mixed in with the Chinook which is very cool. We landed the biggest fish of the year last night at Thrasher weighing in at 33lbs. We also landed another around 12lbs. Fishing was a bit slow but it sure was nice to end the day with this beauty. We are in full summer swing right now with tonnes of opportunity to get out on the water with us either on the Fraser or the ocean for salmon, trout or sturgeon. Water is still very high on the Fraser but the last two days we have seen a substantial drop. 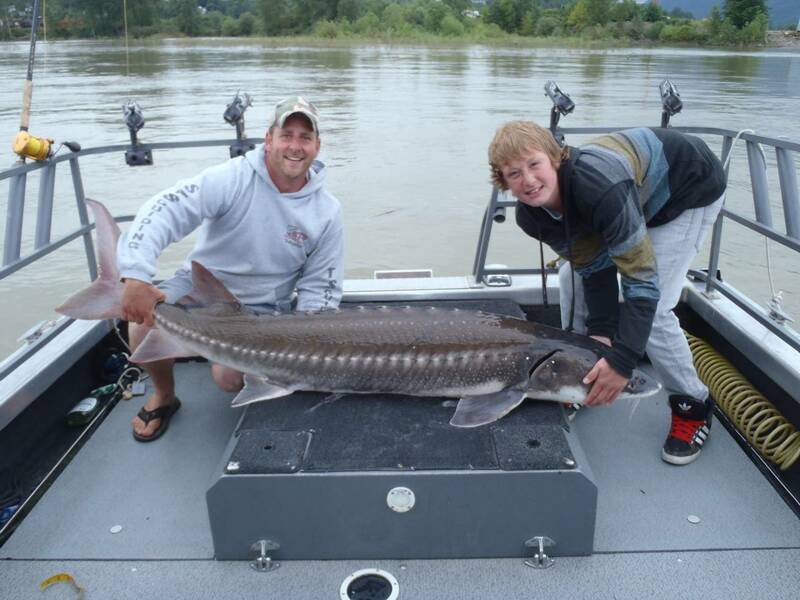 Sturgeon fishing has been fair to good but you really have to work for your fish. Yesterday we have a group out that landed 8 fish with all over 5 feet except 2. The larges was 7ft 7 and a 6ft 8 which are both great fish. 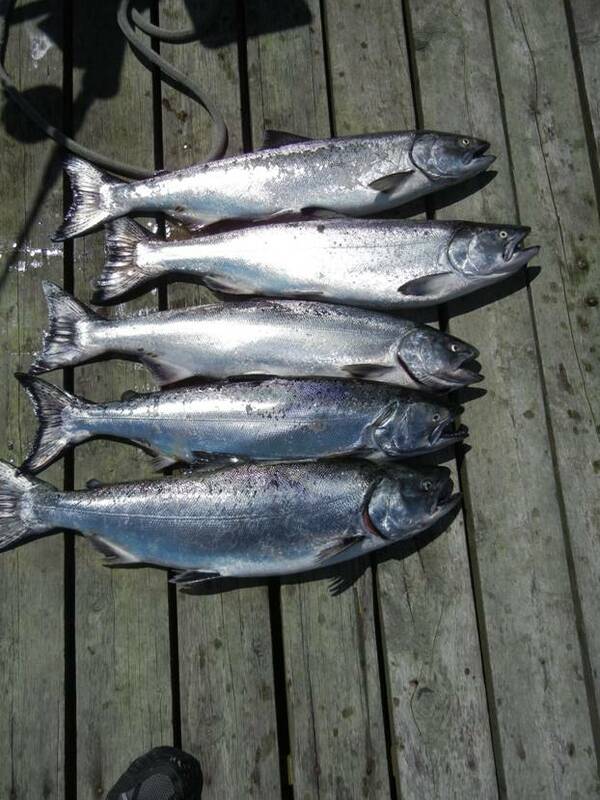 The Vedder has been producing some great Chinook Fishing this past week. One of our guides has been fishing it daily with excellent results. Most of the Chinook are now starting to color a bit but yesterday we landed a chrome 13 lb Chinook that was on the dinner table tonight. There are quite a few Jacks in the river as well so make sure you clearly identify before killing it as there is also a tone of Sockeye heading up to Chilliwack lake. All of our fish have been caught on prawns and the sockeye are just swallowing those things. Fishing on the Pitt remains steady. We never know what to expect with water this year but over all the July fishery was good. With late run off I think we will see some good August fishing for Trout and salmon on both fly and gear. We are not available for trips on the Pitt early next week but by Thursday our schedule starts to open up. 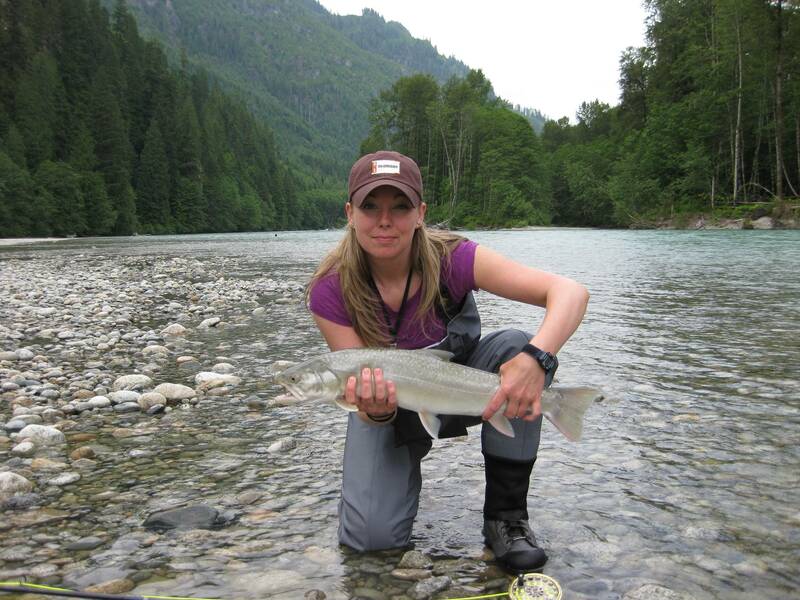 We are on the water daily, fishing Salmon out of Vancouver, Sturgeon on the Fraser and Vedder and Trout fishing on the Pitt. If your looking to get out on the water, please call or e-mail us for availability.